We have now completed 25% of the school year and some of my colleagues are still wondering the best ways to go about reaching their ESOL students. In order to make things more cut and dry, I've created a checklist of items for them to consider. I also created a resource website for my colleagues to use when planning lessons that align to this checklist (PM me if you want the link). Did you clearly introduce the topic? Did you informally pre-assess the students for sufficient background knowledge and fill in gaps where needed? 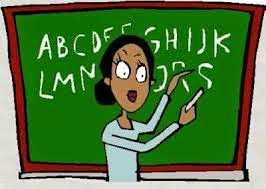 Did you explicitly pre-teach important vocabulary? Did you allow the students to interact with the vocabulary? Did you link the vocabulary to a reading/video selection so that the students can see it in context? 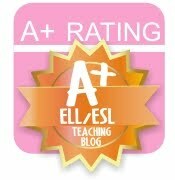 Is the reading/video selection appropriate for the students' level of English proficiency? Did you consider the WIDA Can Do's when creating an assessment task? Did you provide necessary academic supports (graphic organizers, cooperative groups, etc.)? Did you link the reading/video and vocabulary to a writing (or creation) task? Is this task appropriate for the students' level of English proficiency? Did you consider the WIDA Can Do's when creating this task? Did you provide necessary academic supports?